Let’s Rethink How we View Childbirth with these Questions. Almost every birth story we hear, just before having our own child, tends to be intense and scary. These stories describe an undeniably negative experience. And our growing fear can be intensified when the stories come from those closest to us. Despite this, some of us have also encountered other stories—more positive ones. A part of us might start to believe that birth doesn’t need to be awful, and so, we might go on a mission to find every positive birth story that we can. If we then experience a positive birth, it can fuel our fire—and inspire us to share our experience so others know what’s possible. Some women will be so ready to hear our words, but others will seem to despise us for having such a good time of it, because it wasn’t like that for them. We might find that sharing our story becomes both a blessing and a curse. Confirmation bias: Hearing what we want to hear. Sometimes, when we get an idea about what birth is like and believe it to be true, we will use this belief to filter out any stories or information we hear that contradicts that idea. This is known as confirmation bias. We will seek out stories or ideas that confirm our beliefs, and discount, ignore, or make excuses for those stories that appear to be an exception. This goes both ways. If we believe birth can be a positive, beautiful experience, we won’t believe to negative stories. If we believe birth is a negative experience, we will often ignore or write off the positive ones too. This is something we all do, particularly when we are seeking information or proof to support something we care about. The more emotional we are about something, the more single-minded we can become in our confirmation bias. Being aware of this bias is a start in preparing for our own birth journey. Taking a more objective and open-minded approach can protect us from both being overly confident and overly fearful or negative. From a more balanced place, we’re able to make better choices and be more realistic in our expectations—no matter what we imagine awaits us. The experience of giving birth is something so complex and deeply personal, it’s almost impossible to fully articulate. Placing more value on a certain kind of birth story, or discounting a story because it isn’t what we want to hear, might mean that we are missing the wisdom inherent in every birth experience. Supporting our journey with the hidden gems in every story. In seeking to learn from the wisdom of others, we can encourage the person sharing with solution-focused questions. These allow the person to share their unique experience with us, while also getting them to highlight the heart of what they learned. >> How did you get through labor? How did you cope? >> Did you use pain relief? If so, how did you know when to ask for it? >> What’s one thing that you know now that you wished you knew before giving birth? >> What helped you most during labor? >> How did you prepare for giving birth? >> What was one thing you did that surprised yourself? >> What was one moment of connection or support that you really treasure? >> When was the first moment you felt like a mother/father? When we ask these kinds of questions, it can start to change the way the person perceives their own story and even how they tell it in the future. It can help to highlight strengths and moments they had forgotten, particularly if they had a difficult story and are in a pattern of sharing only what didn’t work, or the painful aspects of the process. These kind of questions focus on how they did cope, what did work, and even what they learned about themselves through the process. Guiding the story in this way allows the storyteller to appreciate their experience from a new perspective, while sharing useful information that allows them to support us on our own journey—which can be beneficial for both the storyteller and the listener. Nicole Tricarico is a birth junkie and experienced childbirth educator. 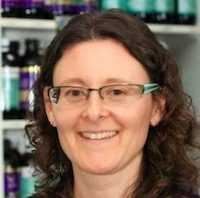 She is the first certified Birthing From Within mentor and advisor in Australia and part of the first advanced Birth Story Medicine cohort, helping educate others about birth trauma and heal from difficult birth experiences. Catch up with Nicole on her website and Facebook.